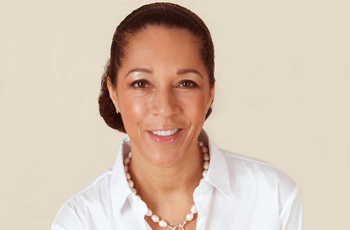 Helen Grant has served as Conservative MP for Maidstone & The Weald since 2010. Recently in the June 2017 General Election, Helen received 29,156 votes, which equaled a 56.4% majority, retaining her seat. In January 2008 Helen Grant was selected as the Conservative Party Prospective Parliamentary Candidate for Maidstone & The Weald to replace Ann Widdecombe. Helen is a former OBV MP Shadowing scheme graduate. Born in London to a single mum, Helen was brought up on the Raffles council estate in Carlisle for much of her early childhood. She quickly showed sporting talent, becoming captain of the school tennis and hockey teams, and representing the County in Hockey, Tennis, Athletics, and Cross-Country. She later became under-16 Judo Champion in North of England and Southern Scotland. Helen moved on to obtain a law degree at the University of Hull, undertook solicitors' finals at the College of Law in Guildford and qualified as a solicitor in 1988. On May 6th 2010 she was elected as MP with 48% of the popular vote. She was the first black MP to ever be elected in the constituency of Maidstone and The Weald, and made Conservative party history by being the first elected female black Conservative. During her time in Parliament, she has served as Parliamentary Under-Secretary for the Department for Culture, Media and Sport. Helen is married with two sons. She lives in Marden in Kent and in Kingswood, Surrey, and enjoys tennis, movies, major sporting events and family life.